Residents can find the following amenities throughout Leisure Village. 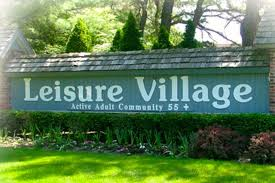 Leisure Village residents have access to Dorchester Hall where they can stay in shape or enjoy an afternoon challenging neighbors on the sports courts. In addition, residents enjoy all the amenities available within Buckingham Hall.